All those people who want to buy a property which can steal eyes of onlookers in first look they can come and visit the DLF group’s new creation which is,nestled away from crowd & pollution of disorganized city life. It is really a total different feeling to live in a home built by leading builder of realty sector. What actually makes them different from other developer is their dedication and creativity to make out a home which everyone dreams of. 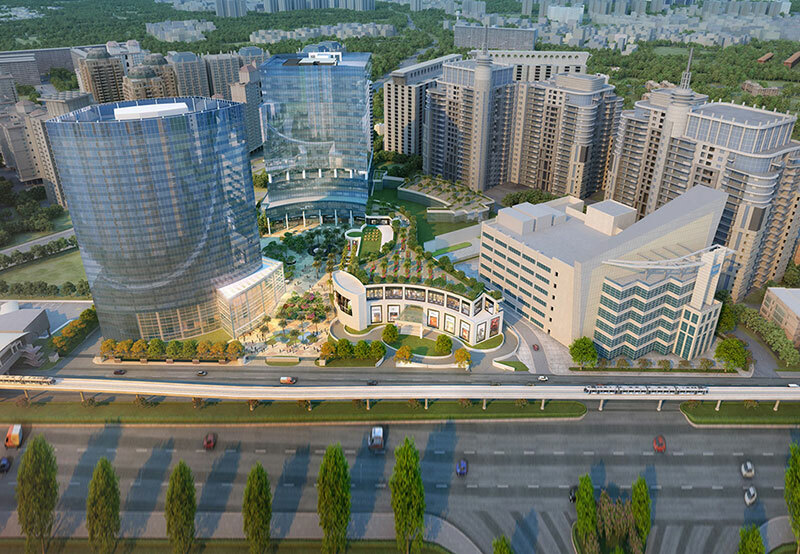 This time DLF Group has brought ‘DLF Park Place’ which is going to dazzle entire region by its beauty and excellence in the features it consists. It is a composition of 3 & 4 BHK apartments with servant room which are constructed by going over each and every detail minutely so that its residents can lead a carefree life without wasting their time in constructing it from their point of view, when you deal with DLF Group then you don’t need to think about these things as they create like a mind reader to give you impeccable home. Here you can come back to indulge in its large recreational zone which is enough to freshen up your mind after a hectic day outside. Today’s generation is heading towards lazy lifestyle which is making them unhealthy and fat because everyone is loaded with so many tasks of their day-to-day life and if then also they manage to take out time, they cannot visit swimming pool, jogging track, walkways as these amenities are located at a distance. So, the developer has planned out all these things here under a perfected gated community. It is located in Sector-54, Gurgaon from where you can take pleasure of beautiful views of Aravalli hills and greenery scattered garden. It is spread over 15 acres of land where total 13 towers are accommodating some 1000 apartments. All other facilities are there like 24 hour power back up, water availability, ample of parking space. When name of such a big realty developer is associated with any creation then there is no use of wasting time in making mood and whether it will be worth to invest here or not as there previous creations are enough to give you an idea about their perfection. One step towards Real Estate Investment can lead to a big progress and if the step is towards the right direction, then it’s not less than a having a cake and eat it too. To achieve an ideal property, one need to make a meticulous step because nothing can be achieved without a pain. Let’s make your investment bit easier, the project, which i’m going to expound will downsize your stress because after knowing it, you really don’t have to search something better as it’s anything but ordinary. And it has everything that will actually turn your life and make it modernize. ‘DLF One West’, not just a project, but an opening for a life which is desirable and matchless. This project is a merge of 2 & 3 BHK (1200 & 1650 sq ft respectively) approx and stretch over 1 tower G+26 and around 250 apartments are there which are fully furnished and set to give out breathtaking lifestyle which is teemed with lots of comfort, luxury, excitement and privacy. These well furnished apartments not just offer a space to live in, but gives a picture perfect with modular kitchen, stylish bathrooms, spacious bedrooms, best interior work in dining area, balconies with better space, etc. As it is a hub where other indelible residential and commercial projects are part of it and soon many more projects will make their position, so it is going to be the world of benefits and being a part of it is not less than a big achievement. Needless to say, DLF is the right architect who knows what all is necessary and how perfectly they can use their resources and come out with something astounding project that gives its utmost benefits to its customers. And this what has made them the most trusted and matchless. Moreover, One West is the one that is all ready to make your investment more lucrative this time. 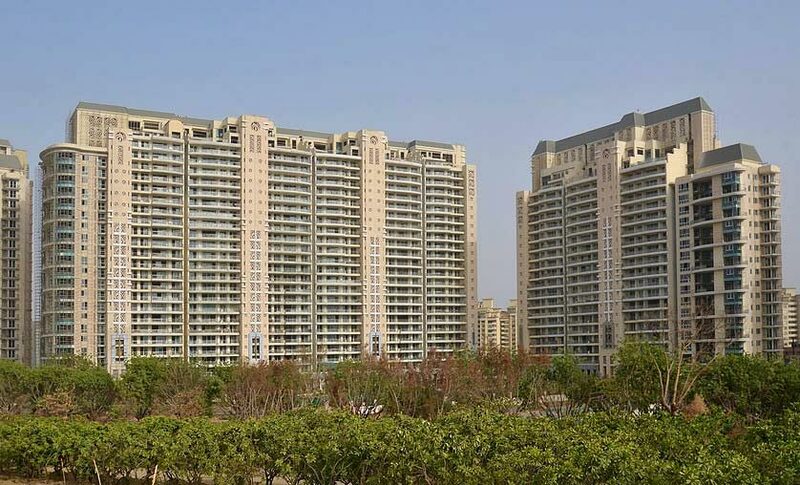 Additionally, Delhi is always considered to be the best place to live in as its fully developed and the major highlight is its connectivity that connects to the major places smoothy. Likewise, this project is also located on Shivaji Marg, New Delhi. So hurry and grab this golden offer soon.